Some years ago, back in Melbourne, I used to wake up on cold winter mornings while it was dark and foggy outside. I would be so depressed with the corporate grind that I would think that anything has to be better than this. I made good money, went to the best university for my field, and had great grades, all for this? I would shower then get dressed and then spend a few moments looking at any type of work I could do abroad to get out of the Feminist and SJW haven of Australia. I would consider anything besides slaving in Melbourne to be a step up from my life back then. Fortunately, after a few years of hard work and some good moments I was able to survive and finally leave that life behind. I can honestly say, once I left, I had this re-invigorated energy that I find hard to describe. The pressure, stress and negativity around me in Melbourne had been lifted. I felt like a wild lion being freed from a zoo and back into its natural habitat. It was amazing. Following that high, there was obviously some re-grouping to do. I slowly adjusted to my new life which contained much more freedom compared to the life I lived in Melbourne. Sure, I wasn’t making 200k+ anymore but I was much happier doing my own thing and being able to forge my own path. This feeling continued and as I adjusted, I started to think what could the next adventure be? Is there going to be the next high? Or was I merely wasting my time for temporary happiness? I started to think more about the future. I do truly believe in destiny and sometimes hope to let nature takes its path however, these days I do think about the future more and more. Once a man has been freed from the cubible lifestyle and enjoyed the freedom for a while, there is definitely a part of him that will want to achieve further, and great a life purpose. A goal. It’s ingrained into us, and of course being ambitious and driven, that desire is strong within me too. Not fully utilising your talents is probably the biggest waste of all. ..but take a moment and enjoy some introspection to figure out how far you’ve come in the last few years. 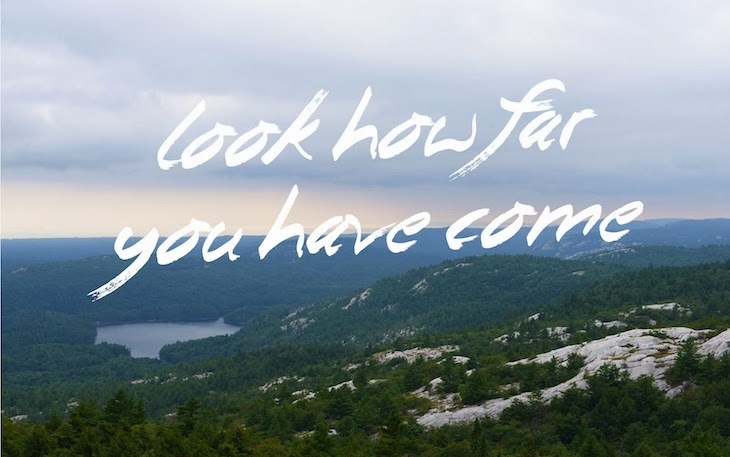 So how far have you come? Are you still chained to a soulless existence? Are you free and enjoying yourself? Are you looking for that next project? Or are you working away on your dreams?